My kids have always loved helping Mom in the kitchen, but ever since we started our weekly routine of getting Kids In The Kitchen, they have been more and more excited to try different recipes and learn new cooking and baking techniques. 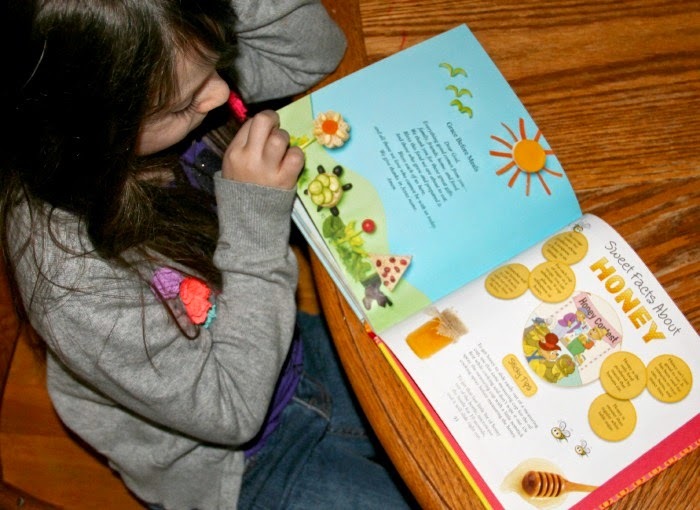 My daughter, Eva, age 6, has taken a special interest in learning to cook and she was so excited to help me review The Berenstain Bears Country Cookbook: Cub-Friendly Cooking with an Adult. She has always loved pouring over her Mom's cookbooks, just like I remember doing with my Mom when I was a little girl. Eva is so delighted that now, she has her first cookbook, and one that she can call her very own! This cheerful and colorful, hardcover cookbook is perfect for kids ages 4-8 and has 96 full color pages filled with recipes, cooking tips, and more! 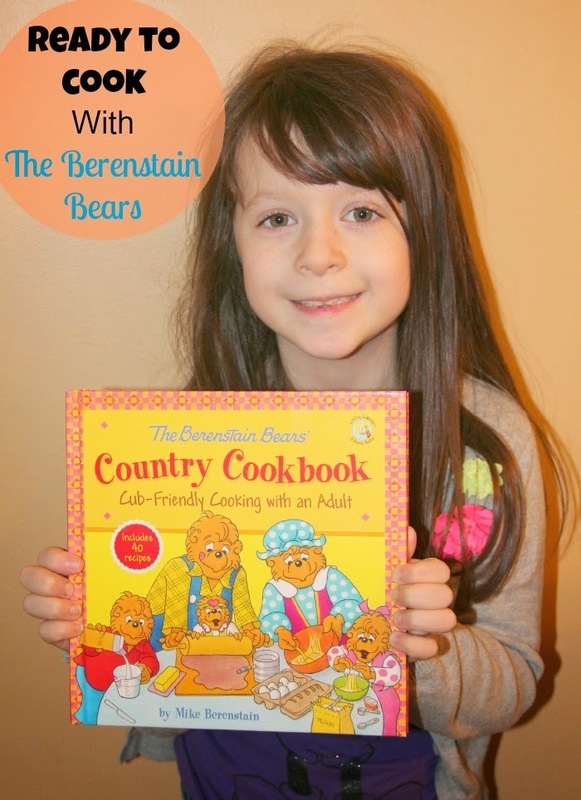 The Berenstain Bears' Country Cookbook is the perfect gift for any child or Berenstain Bears fan! Bear lovers everywhere are sure to find favorite recipes for fun food--ranging from Bear favorites that use honey and berries for pie, to a delicious stew, and even some Berenstain favorites like Jan Berenstain's famous green lasagna. Steps in each recipe are easy to follow and simple enough for children to do with adult supervision. Recipes come alive on each page with the Berenstain Bears interacting and encouraging the chef. Simple elements of faith and family throughout the cookbook. It's one of the reasons why we love the Berenstain Bears and I"m so glad they didn't leave this aspect out of the cookbook. 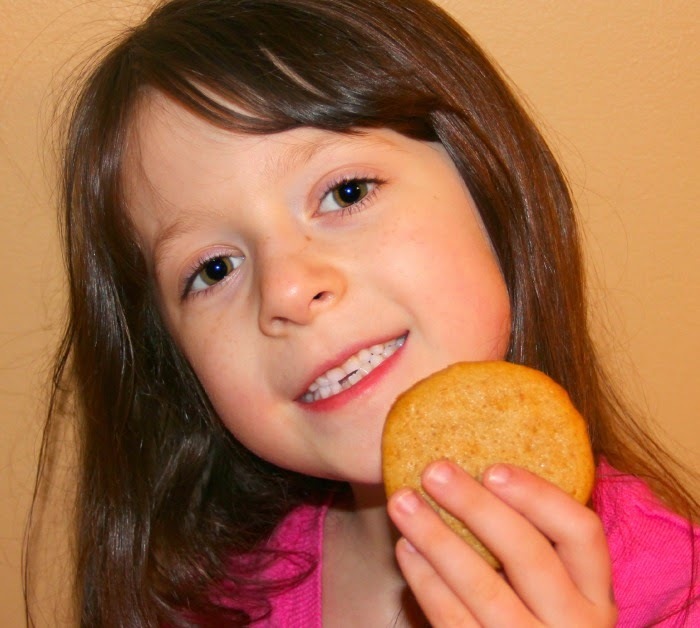 As Eva looked through the cookbook to decide which recipe she would make for her very first food project, we came across the recipe for "Honey Hunt Cookies" which were also specially marked as a "cub favorite". We both remembered several Berenstain Bear books where Brother and Sister Bear had come home from school to a plate of cookies that Mama had prepared and we remembered even in the books how good we looked. Eva decided we just had to enjoy the same cookies Brother and Sister loved in the books. Our badder was ready in no time and pretty soon we had delicious honey cookies coming out of the oven, which Eva's little brothers quickly devoured before they even had a chance to cool. She made sure to set aside a special bag of them for her 1st Grade teacher. She was so proud of her accomplishment in the kitchen and couldn't wait to share her delicious cookies with everyone! Check out the video below where the Papa and Mama Bear help to whip up their cub's favorite and ours: The "Honey Hunt Cookies"
There are so many great things about this book, but above all, I love that this book instills and empowers my children to try new things, and learn the lesson that when you work hard and do your best - you get to enjoy the reward! The Berenstain Bears Country Cookbook: Cub-Friendly Cooking with an Adult will be available for purchase on April 7th - or you can Click HERE to pre-order it for $12.99 (plus shipping) from Family Christian. Make sure to follow Family Christian on their social media pages to stay up to date on new faith-based products and promotions! 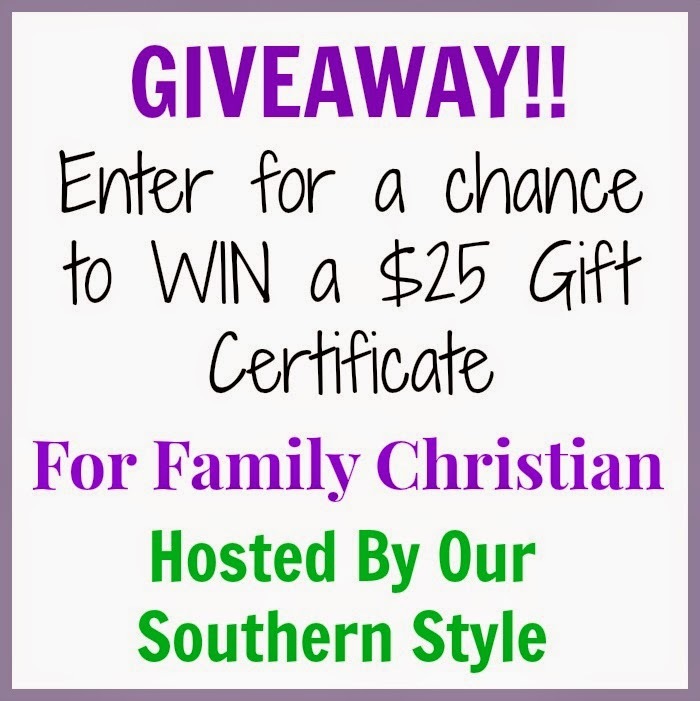 One lucky reader will win a $25 gift certificate from Family Christian. The giveaway will end April 1, 2015 at 11:59pm. Open to residents of the US only and must be 18 years old to enter. Enter using the Giveaway Tools entry form below. I'd really like to get the NIrV Adventure Bible for Early Readers. We love this one in our house - I love that my daughter can sit and read the Bible on her own and start to make daily devotions an important part of her day. Thanks for reading and commenting! I would get some books or the Resurrection Eggs. We have the Resurrection Eggs that my Mom bought for our kids last year - they love them - such a great way to share the Easter Story! There is so much to choose from i think I would have to let the children help me with this one and that way i'd get a chance to see a little insight to their hearts & souls also!